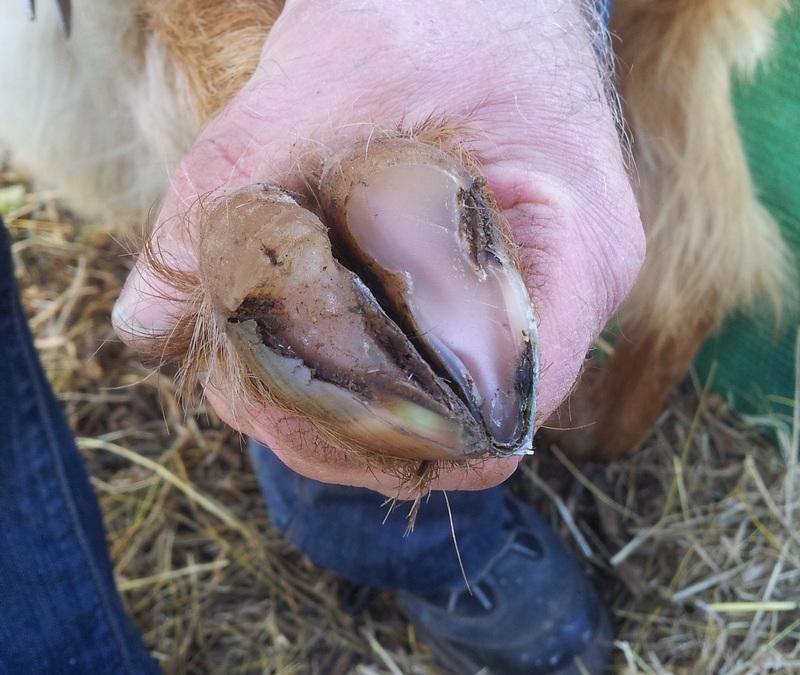 Please consult an experienced goat keeper to discuss routine treatments such as worming regimes and foot care and in the first instance always discuss worming, vaccination and parasite control protocols with your Veterinary Surgeon, as most of these medicines are prescription only. The vet will advise on which product is most appropriate for the age of the goat, the land on which it is kept and the goats health status. Reading through all the old, and the newer, goat books we have accumulated over the years, can make for worrying reading. Listed are just some of the main / more common plants which seem to occur in the literature. Some are immediately toxic, no matter the state or quantity, whereas others can be tolerated in small amounts, although still not recommended. Some actually become toxic due to conditions they are growing in, for example, drought causes levels of nitrates in some plants to accumulate to toxic levels. A goat out grazing with sufficient availability naturally should choose only the safe forage, and poisoning is more common in housed situations where forage is brought in and / or dried, accidentally containing something the goat may not realise is harmful to them. Goats are also curious creatures, which unfortunately can lead to their undoing in many situations. Overall, if your goat is unwell, veterinary attention should be sought. Japanese Knotweed aka: polygonum cuspidatum aka: fallopia japonica. Lupine - appears on both lists: Seeds are the part of the plant that are the greatest problem. "Fiddleneck"- know by this common name in CA. It is a fuzzy looking, 12" to 15" plant, with small yellow blossoms, shaped on a stem shaped like the neck of a fiddle. A pair of hoof trimming shears and a knife with a short blade (7.5 cm. is sufficient). Each of the tools should be kept clean & very sharp. 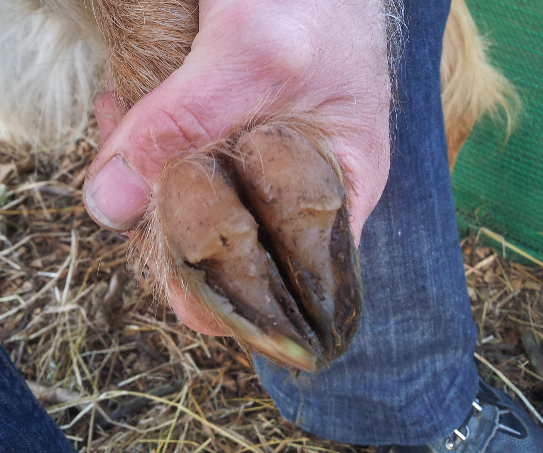 An antibiotic spray, obtained from your vet, to spray the hoof should you cause accidental bleeding of the foot. Start by trimming a front foot, lifting it close to the goat's side and with as minimum a lift as possible. 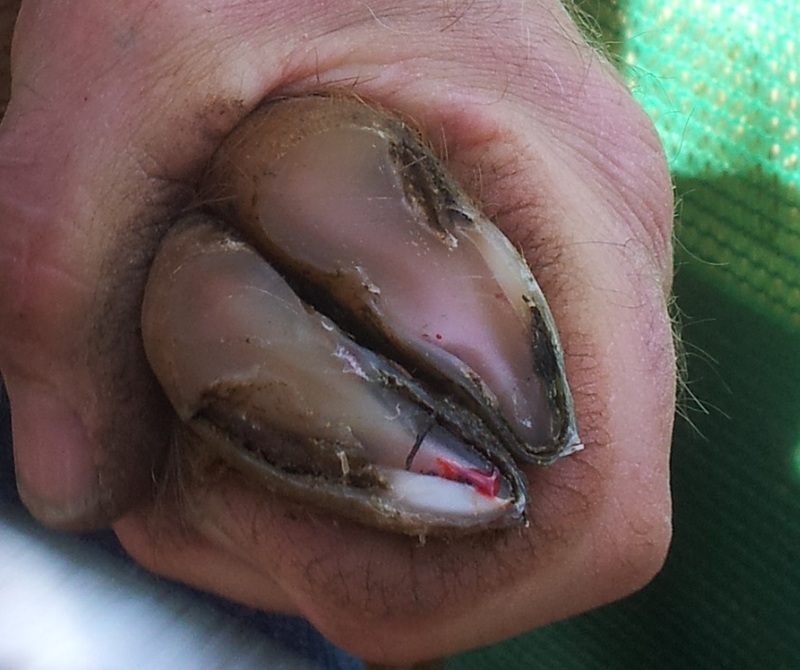 Clean off any excess dirt and other material from the base of the hoof with the pointed end of the trimming shears. Carefully pare the sole using the sharp knife to match the new heel level. Remove a little at a time and stop if the sole begins to become pink. Work from the heel towards the toe.